At other times, he comes across as though he’s teaching an entry-level film course. Without getting into mechanical specifics, he shares his thoughts on the right ways to use special effects, or effectively compose narrative. 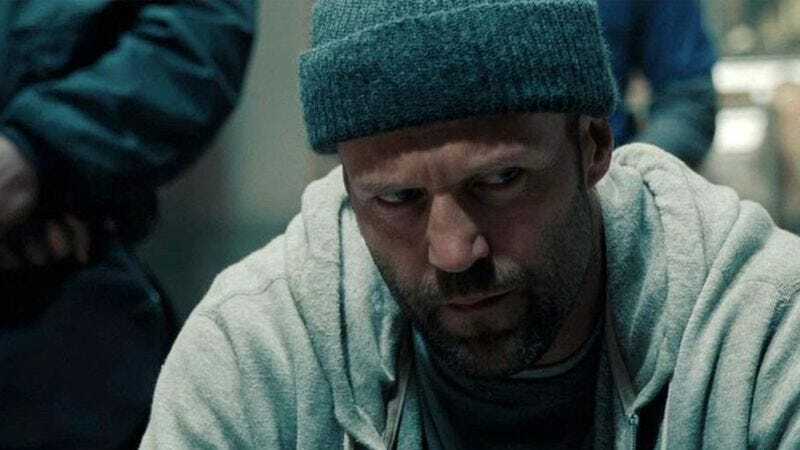 And he discusses why shooting at night is best, because while it’s “physically sickening and exhausting,” the light isn’t constantly changing, so “there’s a fixed set of challenges and circumstances.” But he also gets personal about what motivates him in film, and about his own depression, which allowed him to empathize with Statham’s character in his “lack of feeling invested in life, and a lack of feeling like there’s any point in doing anything.” He also admits that filmmaking is a terrifying, intimidating business, and he’s only gradually gotten over the urge to vomit whenever he sets foot on a set. Overall, he comes across as more colorful, smarter, and more committed to creativity than his actual movie does. What went wrong: Yakin says his budget was about a quarter of the normal budget for “most films of this type,” but quickly turns every specific complaint about something he couldn’t afford into contentment about how he got around it with innovative choices—for instance, when he could only afford about 80 extras for a restaurant shootout scene, he chose lenses and shooting angles that eliminated the empty corners of the room. Similarly, he wanted to emulate Children Of Men with long takes on the action scenes, and gripes about what a nightmare one long, 360-degree immersive shot was to coordinate, but says he at least managed to have a little fun with how it came out. And he gripes about the stringent safety guidelines that made a scene in the New York subway system “almost impossible” to shoot, but winds up talking up the subtle ways he uses special effects to help boost realism. The only complaint he doesn’t turn into a compliment regards a major shootout in an illegal triad-run casino. When they shot the film, most of the Asian actors and stuntmen his studio normally works with “were off making some film with Keanu Reeves about samurai,” and only about a dozen extras were available. So in the shootout, several actors get shot to death, then run into the room to get shot again “with a different haircut, or in a different hat, or a different pair of sunglasses.” Yakin says he hesitates to bring it up, but hopes it all moves fast enough that no one noticed.